Home / Ethics / The Artist Alive-Coming May 1! Christopher Pramuk’s deft, utterly unique, theological and literary voice is in beautiful harmony with all the musicians and other artists he lovingly and brilliantly looks into. With his signature spiritual depth and cultural humility, Christopher Pramuk invites readers of his latest book to participate in meaning-making through engagement with the arts, and with music in particular. Pramuk lives in the imagination that one is transformed, for good or ill, by the company one keeps. Readers are introduced to some of the guests with whom Pramuk has shared hospitality in his own interior spaces—the musicians who have formed him, as well as the thinkers who have informed him. Without any hint of patronizing, the author nurtures readers, brooding like a hen over an egg, attending to the reader’s well-being so that as members of society, we may live into healthier, even holier, lives of meaning—into persons awakened, indeed, into artists alive. Engaging with Thomas Merton as well as other prophetic voices who respond with encouragement in times of ‘endless war, crushing poverty, and horrific violence,’ Pramuk’s book is filled with practical insights and ample resources for teaching and discussing such things as paying attention, struggling for holiness, and uniting the secular with the sacred. Pramuk’s latest offering is itself a work of wonder, resistance, and hope. Christopher Pramuk shows with teacherly care how popular art, especially music, opens the way to transformation of self and society. This inviting book will be compelling reading for those who seek Christian meanings of artistry in ordinary life. The Artist Alive empowers readers not only to appreciate the Christian significance of everyday art, but to become artists in their own right who can learn new ways of Christian experiencing. Christopher Pramuk asks, “Can art be a vehicle of hope, stirring that wondrous if elusive capacity in human beings to imagine a more just, humane, and joyful future?” Pramuk does not take an easy path to answer the question. He probes topics that have been the source of deep questions and divisions: sexuality, race, technology, death, and our search for love and identity. His approach is contemplative, seeking to listen attentively to a song or gaze deeply into a painting, carefully teasing out how it illuminates human experience or points towards a deeper reality. Yet Pramuk’s approach is simultaneously communal, consistently inviting us to listen to the music, read the story, view the art, and note our own responses prior to reading his. It is an invitation to be fellow pilgrims, to bring our insights and experiences into play with the author’s. He is not offering definitive answers, but opportunities to open our restricted imaginations. Pramuk crosses the boundaries of time, culture, and genre to explore each topic. One chapter brings into conversation the music of the Indigo Girls, letters and poems of Rilke, and the Song of Songs, to explore sexuality, love, and identity. The uniqueness of Pramuk’s approach, however, goes beyond his method and sources. His carefully crafted prose weaves sources, questions, and insights into a rich tapestry of love and hope, crafting a poetic and imaginative theological vision, a work of art in its own right. 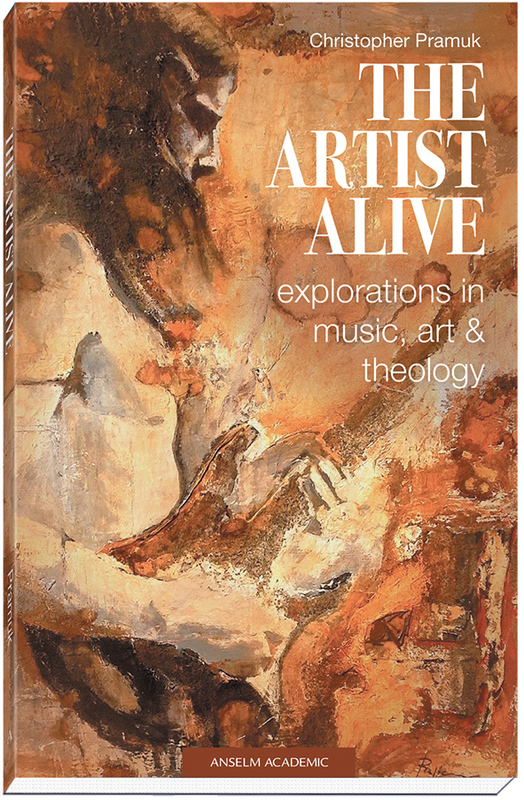 A profound and beautiful book, The Artist Alive: Explorations in Music, Art & Theology allows us entry into the contemplative classroom of a gifted teacher. Drawing skillfully on religious and philosophical insights from a range of diverse traditions and perspectives, Christopher Pramuk allows us to experience musical and visual works of both popular and classic art—the Song of Songs to Pink Floyd—as “texts” or doorways through which the creative and spiritual dynamism inherent in each of us might be awakened. For those who seek such an awakening, The Artist Alive will be a treasured companion. Are songwriters, painters, filmmakers, and other artists modern-day prophets in society and church? Can art be a vehicle of hope, stirring that wondrous if elusive capacity in human beings to imagine a more just, humane, and joyful future? Through critical and contemplative engagement with classics in music, film, literature, and visual arts, Christopher Pramuk’s The Artist Alive: Explorations in Music, Art & Theology invites us to explore these and other questions. Attentive to the deep longings of the human and spiritual journey, Pramuk posits the arts as a doorway into the life of spirit and sacred presence. Rather than proposing “answers,” he outlines a way of seeing, hearing, and praying through some of life’s most enduring spiritual and theological questions. With more than a dozen case studies featuring various artists, prompts for contemplative practices, and a focus on today’s most urgent social and spiritual issues, The Artist Alive weaves a spirituality of wonder, resistance, and hope: a prophetic response to the utilitarian, militarized, marketplace vision of reality that bears down upon and dehumanizes so many in our time. Through loving examination of artists and their art, Pramuk convincingly conveys the possibility of a more humane and joyful way of being in the world. 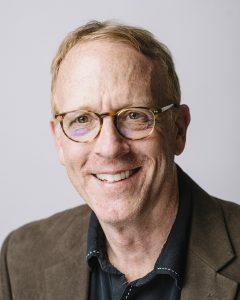 Christopher Pramuk is an associate professor of theology and the University Chair of Ignatian Thought and Imagination at Regis University in Denver. He received his PhD in systematic theology from the University of Notre Dame and is the recipient of several teaching awards, including the Monika K. Hellwig Award for Teaching Excellence, granted by the College Theology Society.